Browse our video section for tips and tricks on how to install and operate your garage door opener, weather seals, and more. Our helpful how to video guides make it easy for do-it-yourselfers to make repairs to your garage door opener. Featuring today's top brands including Genie, Guardian, Chamberlain / Liftmaster, and many more. For do-it-yourself installation, programming and maintenance of garage door opener and gate operators, rely on our free collection of how-to videos at North Shore Commercial Door. We have troubleshooting videos to help target problems, and how-to videos on parts installation for residential and commercial/industrial operators. Learn how to set up garage door opener sensors. Follow our step-by-step video guides for using garage door seals to keep out drafts and pests. 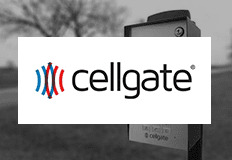 View our garage door/gate operator videos anytime. We enhance your experience with access to product manuals and free access to expertise from our in-house parts and brand experts. See dozens of videos by brand, from our Action Industries videos to Zap videos. Learn how to install BD Loops for your vehicular gate operations. See how to program Digi-Code garage door opener remotes, receivers and wireless entry keypads. We have how-to videos on LiftMaster, Chamber and Craftsman garage and gate operators, and replacement parts. Learn how to create a tighter seal on your garage doors by watching our Green Hinge videos. Browse our how-to videos on Genie, Guardian or Nice Apollo products. 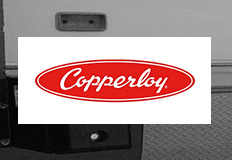 Learn about our in-house North Shore Commercial Door brands of premium garage door opener parts with bargain price tags.